I will never know what it feels like to have twins but I do empathize with mothers of multiples because of my first and second children are 21M apart and my second and third are 17M. Although people often ask if my boys are twins (my youngest is very tall), I cannot imagine holding more than one baby at a time inside of me. I say bless those mamas who did it! 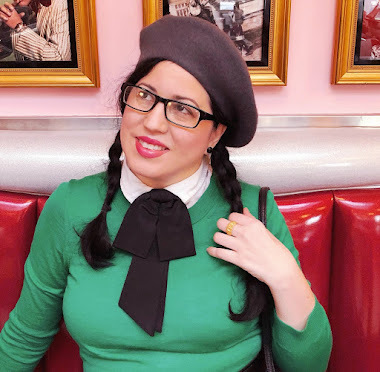 After having a play date with one of my friends who has twin boys, I started wondering if there were any sets of twins in Old Hollywood. I knew of one pair, Daisy and Violet Hilton, because of one of my favorite films, Freaks. I immediately started digging and I found five more pairs of twins and a set of faux triplets that I just had to share with you all! 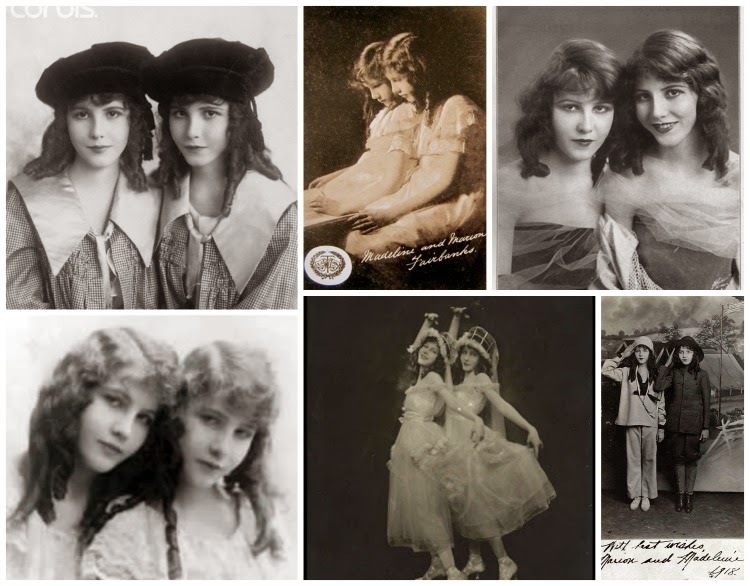 The Fairbanks twins were stage and silent film actresses. They entered films in 1910 and worked in the business through the 1930's. Both were born in the year 1900 and the first twin to pass on was Marion in 1973 and then Madeline in 1989. If you would like to read more about them, you can read more HERE. Daisy and Violet were born in 1908 and were not only twins but joined at the hips and buttocks and fused at the pelvis. They were born from a single woman and sold to Mary Hilton who helped deliver the. Hilton saw the prospects of making money off of their condition. They were taught to sing and dance and were put on tours by the age of three. After Mary Hilton passed on the girls were "willed" to her daughter Edith and her husband and were often abused by them as well. They eventually gathered the courage to escape that life and performed vaudeville shows until their debut film, Freaks. They passed on in 1969, Daisy passed on first and then Violet a few days later. If you are interested in learning more about their life you can learn more HERE. The Mawby Triplets were billed as Triplets but actually consisted of one single birth child and a pair of twins. Angela, the eldest, was 11 months older than her twins sisters and was born on August 20, 1921. 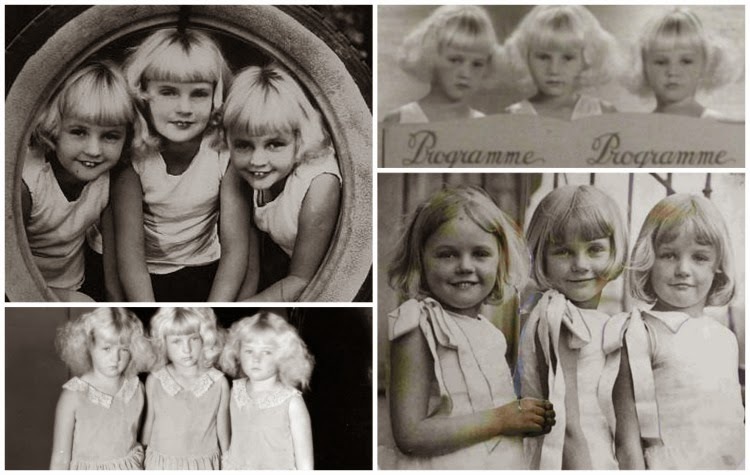 The twins, Claudine and Claudette were born on August 22, 1922. The sisters first film was in 1928 called The Baby Cyclone. They continued to act together and also separately until 1932. Their parents feared for their lives after the Lindbergh baby kidnapping and left America for their home in England. They continued to act in British films until Claudette was killed in 1942 in her flat by a German air raid. Angela passed on in 2000 and Claudine passed on in 2012. You can read a little bit more about them HERE and HERE. 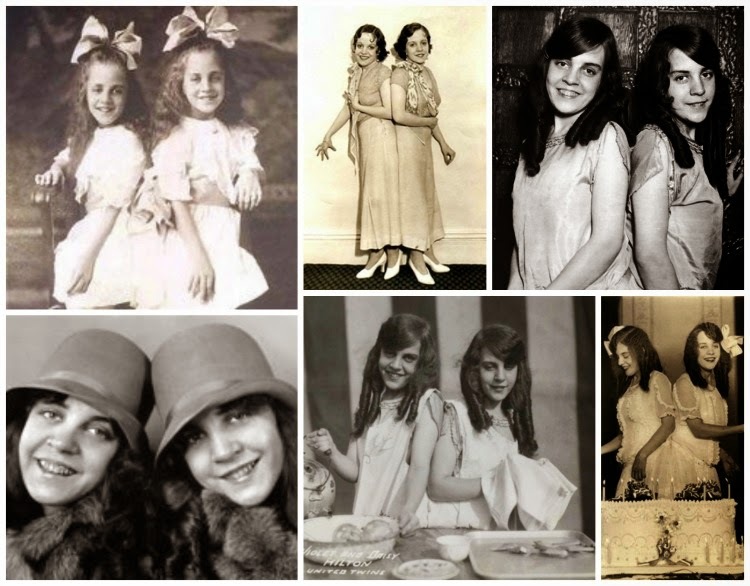 The Gale Sisters were a pair of two sets of twins who performed vaudeville and briefly acted in films in the 1930's. There was Jane and June who were born in 1911 and Jean and Joan who were born in 1912. Jane, June, Jean, and Joan Gale were their stage names and although their film careers did not take off they did leave their mark on Hollywood. Jane is the only Gale Sister still with us. June passed on in 1996, Jean in 1974, and Joan in 1998. Lee and Lyn Wilde were born in 1922 and performed in film mainly in the 1940's. They appeared in 9 films together until 1949. Lyn continued her career a few more years after Lee and eventually married a pair of brothers named Jim and Tom Cathcart. They settled into married life and left the glamour of Hollywood behind but they didn't leave their love of music. They continued to make music well into the 1990's and at 91 years old are the oldest living sets of twins from Old Hollywood. If you would like to read more about them, you can read HERE. 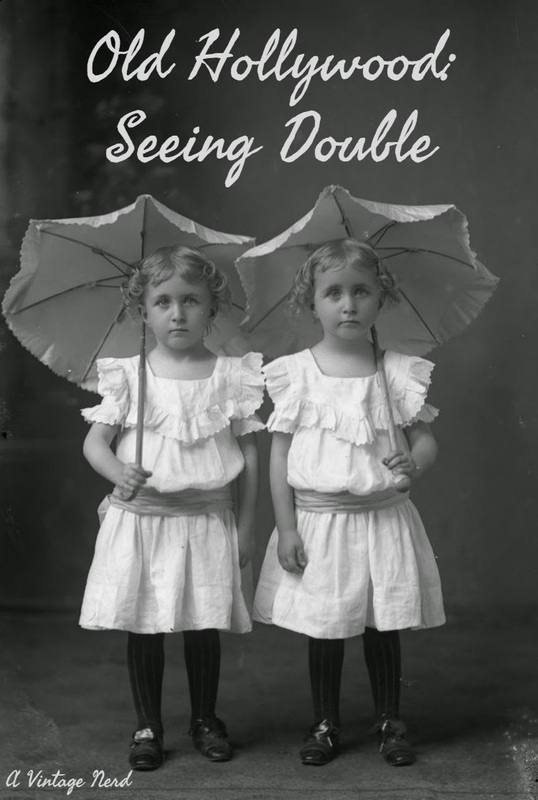 Have you ever been intrigued by twins? Can you tell the twins you know apart? I have taught twins, went to school with them, worked with them, and now my children have friends who are twins and I STILL cannot tell any twins apart! My mom is an identical twin. I have always been able to tell them apart in person because my aunt broke her nose at a young age and it wasn't set properly. Over the phone, it's much harder to tell them apart. So, yes, even family members have difficulties telling them apart. I don't have twins, but I was a surrogate mother and carried 2 sets of twins. The first set, twin girls, one has curly hair, so they're easy to tell apart. The second set, twin boys, one had a much rounder face, so that's how I could ID them. Unfortunately, he passed away last year at the age of 2. I have taught a lot of twins and triplets too, and it's so exciting when one of them gets a different haircut or distinctive item of clothing! I'm always so grateful for the help! My father was one of a twin. We (their family) could tell them apart, but other people couldn't. When my father died of cancer his brother lost his will to live and died a few months later. He said he could not live without his brother. They had been very close all of their lives. I loved your post! Thank you.